Balancing postures are optional and depend on your time and stamina. 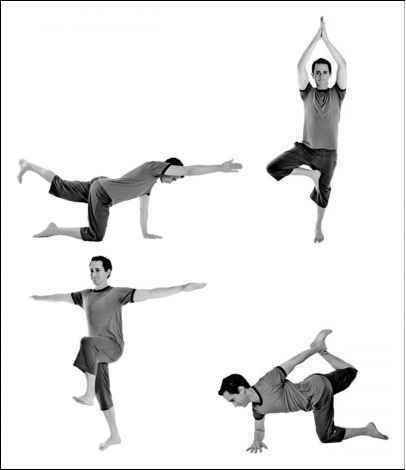 They're often the most athletic postures and require overall coordination. 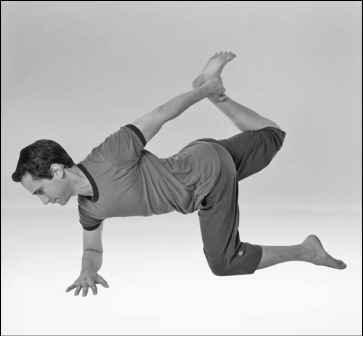 Balancing postures are very rewarding because you can see your progress immediately. They fit nicely after the standing postures because at this point in your routine, you're fully warmed up. All our recommended balancing postures are either standing or kneeling, which means they fit smoothly into the sequence. Choose one balancing posture from Chapter 8 for a 30-minute to 60-minute routine; Figure 15-18 shows you some options. You can practice balance from many different positions.